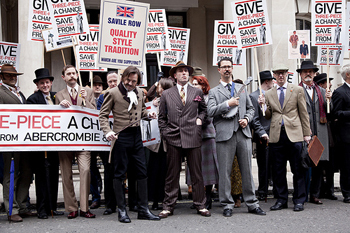 A gang of suited, booted and top-hatted dandies voiced their displeasure with Abercrombie & Fitch’s move into the historic home of British tailoring, some companies have been there for 200 years! 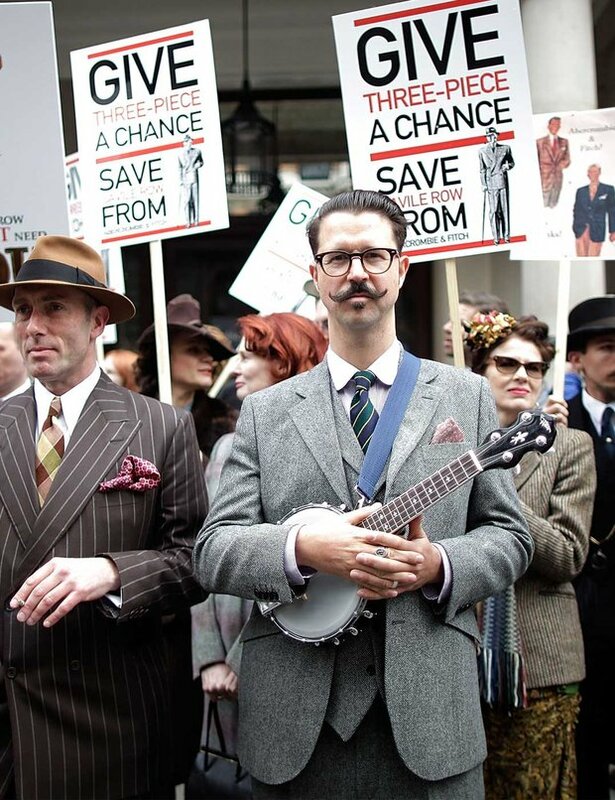 Placards bearing, quite catchy, slogans such as “Give Three-Piece a Chance” wear being carried around paired with well shined shoes, waxed moustaches and gleaming spectacles. 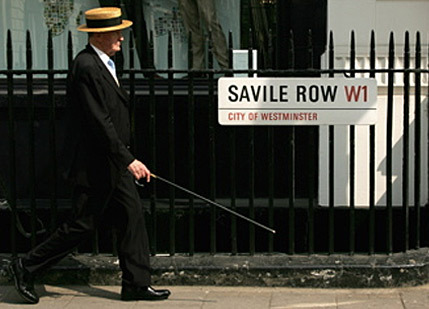 Savile Row Bespoke, and industry body representing the street’s tailors, issued a statement urging Westminster Council to block Abercrombies’s presence. Abercrombie which attracts queues of shoppers hungry for slogan tees and distressed denim, not quite in keeping with Savile Row’s other shops. Plans to opens a childrenswear shop at 3 Savile Row. A&F said “The response to our adult flagship has been tremendous and we look forward to giving our fans an opportunity to visit our Kid’s store in an iconic location. Why? The Gold Label Has Launched!! New Stock Drop & London Fashion Week! swimwear 2013 bikini or swimsuit? the world at your finger tips. cool nail art.